This weekend during the Italian Grand Prix (Monza), Ferrari finished third behind a dominating Mercedes one-two, while, Sebastian Vettel and the Prancing Horse were no match for the Mercedes at Ferrari’s home race, dropping at least half a second a lap and losing the championship lead to Mercedes’ Lewis Hamilton for the first time this season. Mercedes were also able to extend their lead in the constructors’ championship to 62 points. Ferrari’s Chairman Sergio Marchionne, was totally dissatisfied with Ferrari’s performance and lack of pace at his home race. “Embarrassing” Grand Prix “I think we just screwed up, I think we underestimated the circuit” Marchionne told German broadcaster RTL. While, Ferrari Team Principal Maurizio Arrivabene had nothing to say or explain for his team’s struggle at their home race. 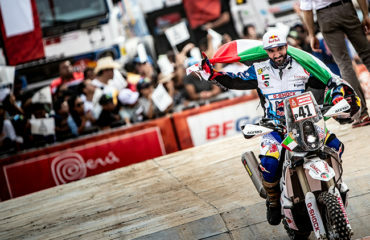 Now, putting aside all these disappointments and articles talking about how Mercedes embarrassed Ferrari at home, nothing has blown my mind like watching the ocean of Ferrari supporters down the podium cheering and saluting their hero: “German” driver Vettel wining a very good 3rd position, and looking so proud in an emotionally electrifying atmosphere, when he addressed the thousands of fans in fluent Italian. This was a man who has won the championship in the past, speaking with the certainty, of someone who will do the impossible to win it again. 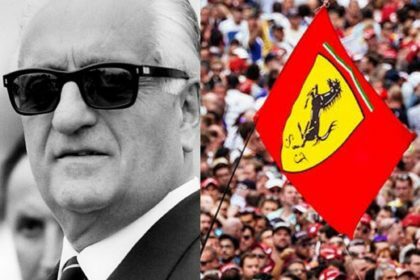 No doubt the success of Ferrari in F1 and being one the strongest and well-organized teams in the history of racing, is attributed to the vision and legacy left by their house’s founder, Enzo Ferrari. The Prancing Horse brand, which is celebrating this year its 70th anniversary, was founded by Enzo in 1947. Earlier in 1929, Enzo founded “Scuderia Ferrari”, in order to race on behalf of Alfa Romeo. In 1939, he left Alfa Romeo and raced out on his own. 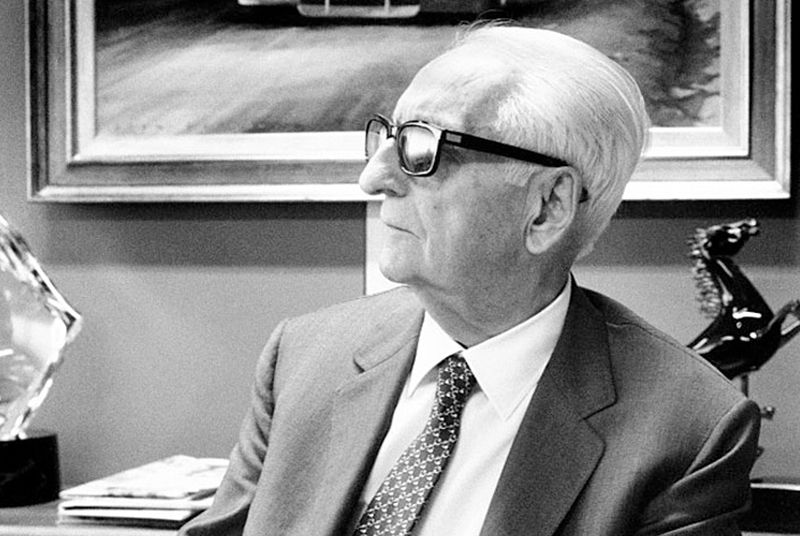 The interesting part that not everyone knows, is that he started to produce road cars as a mean of funding for his racing activities; road cars were always an afterthought for Enzo Ferrari. 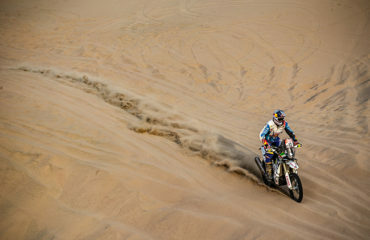 His obsession with engines was such, that he believed that motor racing teams lived or died on power. Ironically this model -or as I would prefer to call it, “The Enzo’s Code”- had (and still has) a positive impact on Ferrari’s business success, despite this one being a detrimental strategy for other car manufactures. Many teams dropped out from F1 for not being able to hold on to both the sport and business pressures, due to the high costs and the competitive nature of F1, while Ferrari, is the only still-active and competitive manufacturer successfully racing since 1950. Ferrari holds the record for having won the most Constructors’ Championships (16 times). 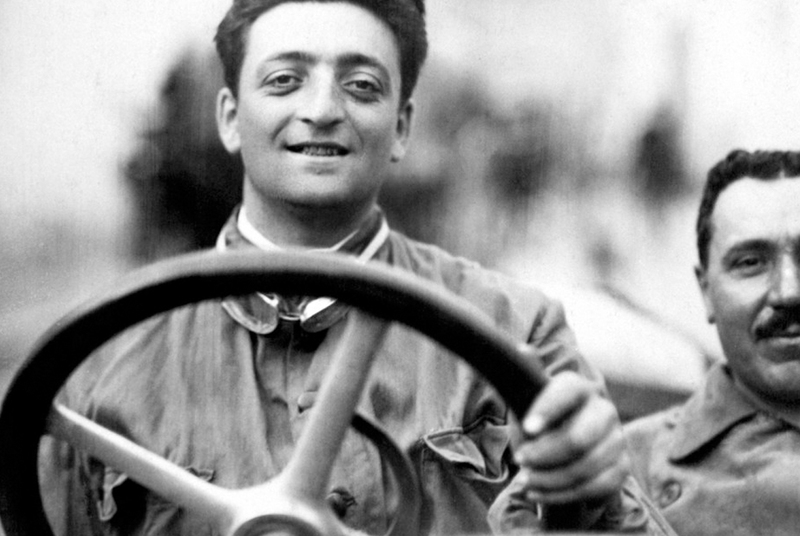 “Our founder Enzo Ferrari just wanted to make profit in order to race, since the beginning, there was a transfer from the race track to the road. These are the two souls of Ferrari.” Amedeo Visconti, Ferrari’s technology transfer manager between Ferrari’s F1 cars and the road cars. 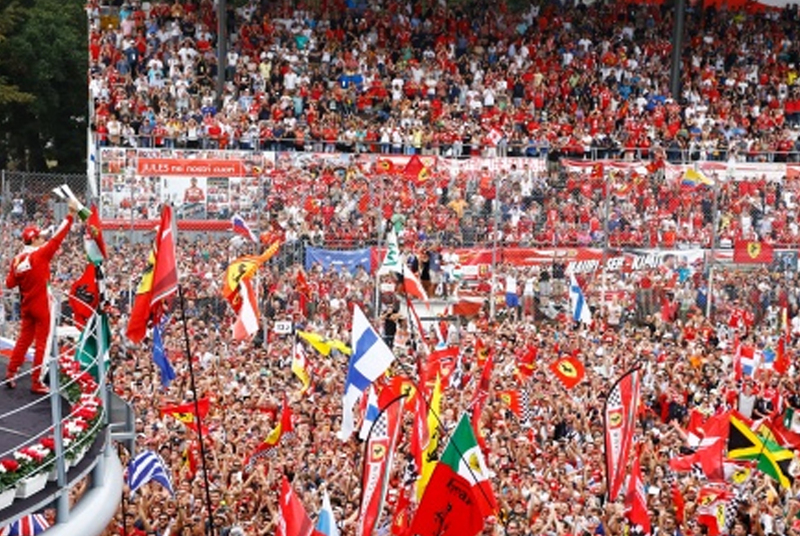 Today, Ferrari is the single most important team in Formula 1 with the biggest fan base around the world! Ferrari is the most traditional team, but also the one with the richest history; they have a racing spirit that no other team can match, and they generate a lot of emotions on the racetrack as well as off-track. Without doubt Ferrari is an irreplaceable team in F1. Ross Brawn, the former Ferrari F1 Team Principal, once said “a Ferrari is a Ferrari, it is not an engine, it’s not a chassis, it’s not an aero package. It’s a Ferrari”. 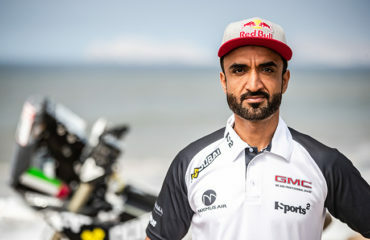 Ross is now the Formula One Managing Director of Motorsports. Over the years Ferrari have expanded their brand and moved into product areas from racing in F1 that would develop additional revenue streams, for example, they have developed a full range of merchandising and toys such as the items found at “Ferrari Stores”. The brand also signed licensing agreements with different products; I still remember, for instance, Acer producing the world’s first carbon-fiber notebook computer with the “Ferrari-inspired” legend written on it. 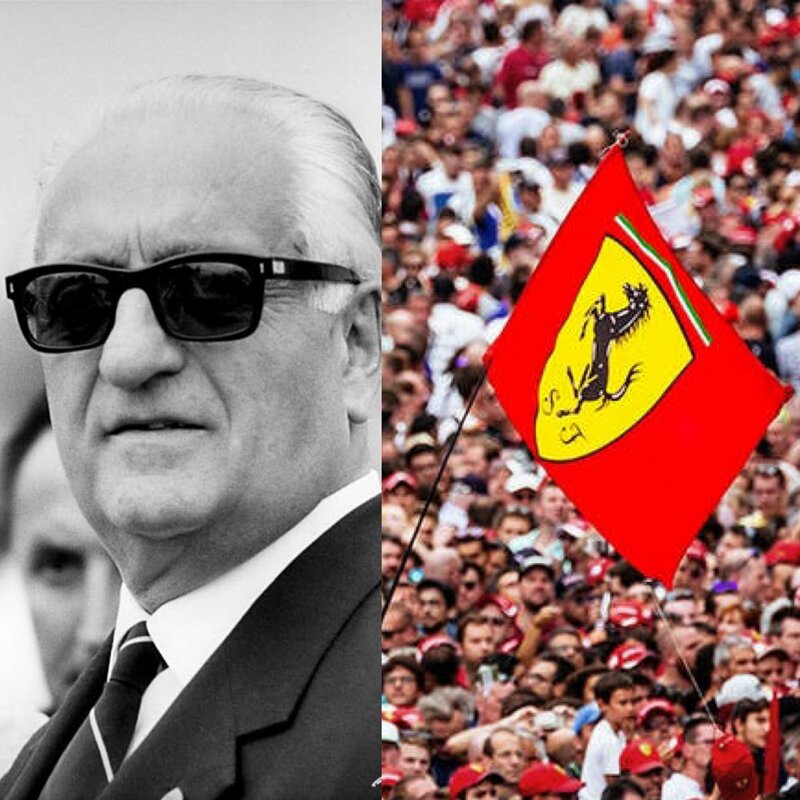 “The charisma of the red cars is down to Enzo Ferrari and the history of the team. If Ferrari were to stop doing Formula 1, millions of people around the world would lose their idol and stop watching. 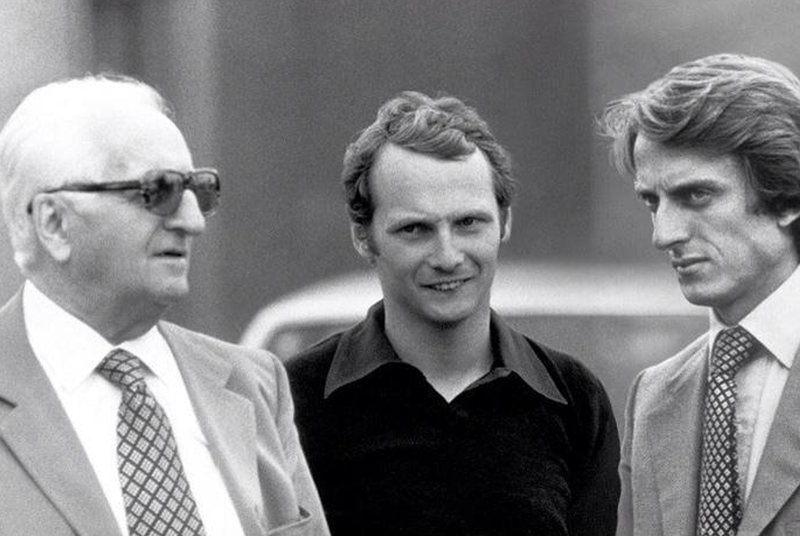 It’s as simple as that.” Niki Lauda, two-time world champion with Ferrari and now he is the Non-Executive Chairman of Mercedes F1 Team. Behind the Enzo Code lay down his mastermind and absolute passion for racing, Motorsports, and wining, and these key elements, created over the years the irresistible Ferrari’s Effect.